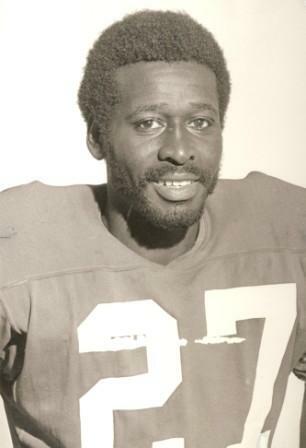 Willie Burden attended North Carolina State University before beginning his CFL career with the Calgary Stampeders midway through the 1974 season. Willie Burden would spend his entire football career with the Stampeders as a Running Back from 1974 to 1981, where he set and broke league and Stampeder rushing records. His best season was in 1975, when he finished with 1,896 yards on 332 carries, breaking a 14-year old CFL record. He would also, in the final game of the 1975 season, tie Lovell Coleman for yards in a single game when he rushed for 238 yards on 34 carries. At the end of the 1975 season, he was named to the Western Division and CFL All-Star teams and received the Schenley Award as the Most Outstanding Player in the CFL. As a tribute to his dedication to the game and his ability as a player, the Calgary Stampeders named Willie Burnden to the Stampeders’ Wall of Honour and retired his number 10 in 1992.